Jim Callis of Baseball America has released his annual chart comparing MLB slot recommendations for signing bonuses to drafted players and their actual signing bonuses. 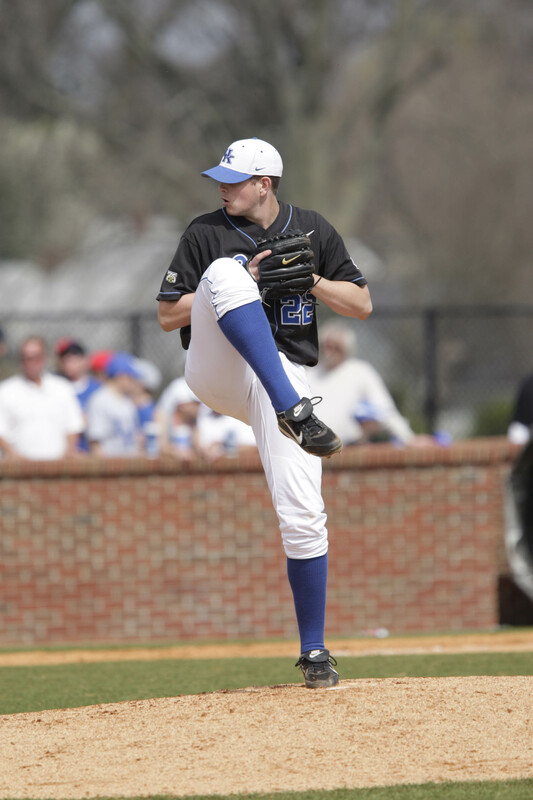 No 2010 Kentucky draftee has signed for over-slot as of yet, though Louisville native Zack Cox figures to buck that trend if he signs with the St. Louis Cardinals as the team’s first-round pick. One interesting note from the chart: Former University of Kentucky left-handed pitcher James Paxton would have signed for $873,000 if he had agreed to a slot-value deal with the Blue Jays as the 37th pick in the draft in 2009. Now, after trying to return to UK only to end up in an independent league after an NCAA investigation into his amateur status, if he signs for slot-value as a fourth round pick in 2010 (which is a big if) he stands to get a $209,700 bonus. That means he could lose around $663,300 by trying to come back to UK for his senior season. Michael Grant of the Courier-Journal writes now that Louisville Bats third baseman Juan Francisco is healthy he has found his stroke at the plate. Kendall Rogers of Yahoo! Sports and Rivals.com reports University of Louisville pitching coach Roger Williams will stay with the Cards after considering taking the same job at the University of South Carolina.